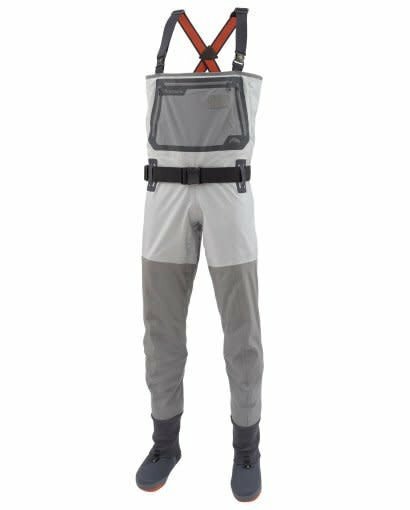 The G3 is always Simms' flagship wader, and we're excited to have a fresh redesign. The gold-standard for high-end, breathable waders. 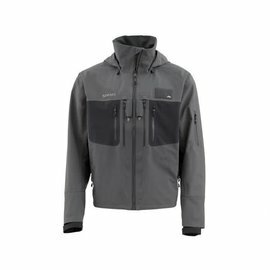 Not too fancy, but loaded with features, including the best fishing pocket you'll find. Supple Gore-tex, hand warmer pockets, reinforced legs, and the finest fit in the industry. Still made in the USA. Removable Flip‐out Tippet Tender™ pocket with dual‐entry zippers. Zippered reach‐through micro‐fleece lined hand‐warmer chest pocket. 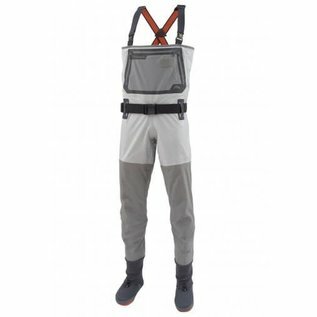 Built‐in low‐profile belt loops with 2in stretch wading belt included. Patented front & back leg seams. Adjustable elastic 1.5in suspender with opposing YKK® buckles for waist‐high conversion. 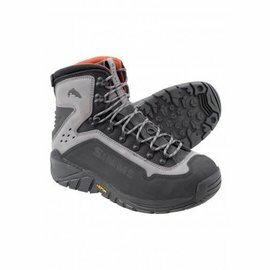 Abrasion‐resistant built‐in Gravel Guards with boot hooks. Anatomically engineered neoprene stockingfeet with anti‐microbial finish. The #1 tip to prolonging the life of a wader is drying your waders. It is important to dry your waders out after each use. We recommend drying the inside first (if damp) and then the outside.